I am old enough to remember Magnum PI vividly. He was handsome, smart and had this acute sense of humor and fabulous little voice that would give us an insight into his thoughts and tribulations. To my child self, he was just fabulous. At that time, Hawaii felt like a land that I may never visit. I don’t think I quite understood travel or the reality of the Earth but it felt as if it was in an unattainable place. Coconut trees swaying in the wind, low fluffy clouds, strong tropical storms in the background, helicopter tips chasing after bad guys, blue skies and his fantastic Ferrari. Then there were the aggressive but polite Doberman dogs, Higgins and the never ending adventures. It was like the tropical version of James Bond, minus the sophistication. 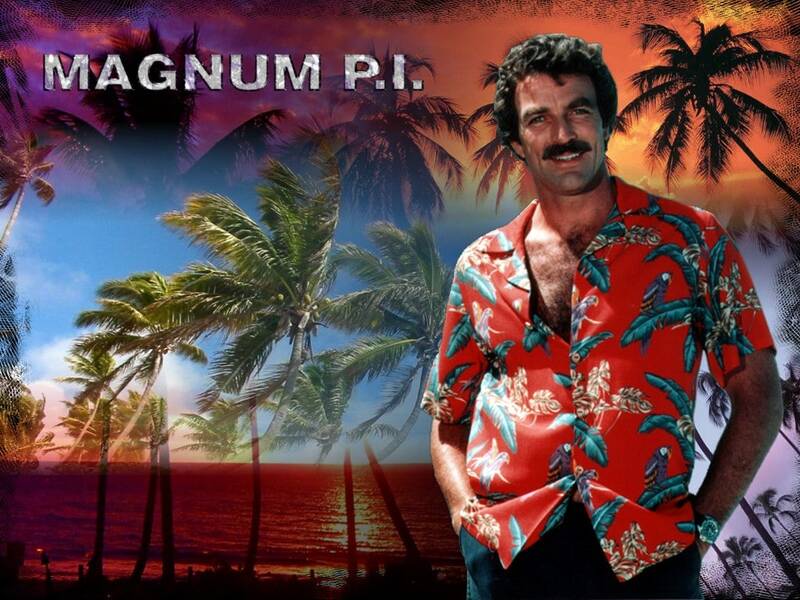 Magnum was pure down to Earth. I could not quite point the finger at it until the very end but my once in a lifetime trip to Bora Bora made me feel just like being part of the crew of a Magnum PI episode. Funnily enough, after having been tinkering with this feeing for a while, my friend made a comment to the same regard. Bingo! I wasn’t the only weirdo feeling like I was stuck in an 80s movie. In truth, Bora Bora made us think of Magnum PI just like the original set, Hawaii, would have but, whereas while I was in Hawaii this thought never crossed my mind, in Bora Bora it was an almost immediate feeling. Here’s why. Alright so this is not Hawaii so you don’t actually wear an aloha shirt but the local equivalent, not called aloha shirt, is everywhere. From the musicians accompanying the many Polynesian dances to your tour guide, from the table mats to the pareos and, most importantly, on every plant and tree on the island. Wild hibiscus inhabit Bora Bora like fish fill the ocean, it is simply their natural habitat. And everybody knows that Magnum loved aloha shirts, he had them in every color and pattern to Higgins’ dislike. Alright so this might actually be a fantasy rather than the true reality of the Magnum PI episodes, it was a long time ago so I could have idolized it, but surely, the series featured some handsome Polynesian and American men. Strong, with tanned bodies, unbuttoned shirts and hot days. Case in point. If you don’t believe me, go on YouTube and you will find several of his episodes. I challenge you to find one of them where there isn’t an attractive man, and woman. No tropical series that prides itself would survive without a fair amount of scenes and frames where palm trees and coconuts sway in the wind, fall on the floor or are eaten. Coconuts are just the main sustenance in Bora Bora and, I won’t complain, feature in almost every dish. “Poisson cru” is raw fish with coconut milk and my favorite dish, I had it almost every day. Then there is the chicken fafa, which is also cooked with, you guessed it, coconut milk. Desserts almost always include coconut. You can have grated coconut sprinkled over your fruit. 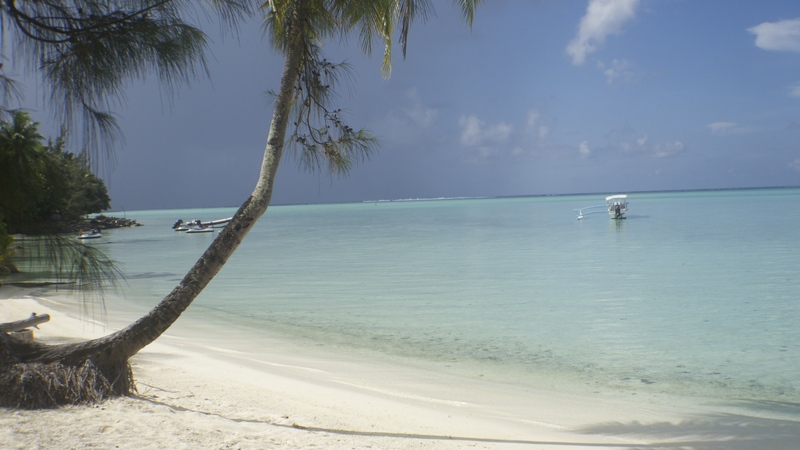 Before tourism was the main source of income Bora Bora used to live of copra, a derivative of the coconut. Don’t you remember the many palm trees on his boss’s garden where the Doberman patrolled? I do. And if you Google Magnum PI you will most likely stumble upon several photos of Tom Selleck with swaying palm trees in the background. Rick, Magnum’s esteemed friend, had a tropical bar and that is the exact feeling that I had for the duration of my time at the resort. Bamboo stools, flowery shorts, hot weather, umbrella drinks, pina coladas. That’s is exactly what I’m talking about. 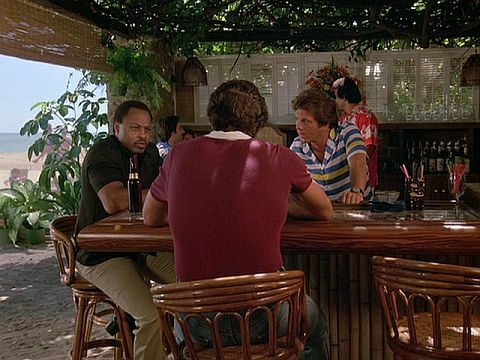 Why did I not feel like in the Magnum PI set in Hawaii? Because the islands have caught up with mainland faster than Bora Bora (although maui did give me an awesome 90s vibe). For my entire time in Bora Bora I had the feeling that time stood still in Polynesia and things have not changed since a couple of decades. I can’t quite explain what exactly made me feel like that. It could be the lack of competition in the hospitality industry, the instant (and awful) coffee served everywhere, the cheesy shiny bamboo furniture everywhere or the island time, slower and more chilled out than anywhere else. In any case, if you want a quick dose of Bora Bora feel or have had a sudden “aha” moment and would like to remember the times of Magnum PI, watch the credits music, absolutely fabulous.